Smart 1 bed/1 bath loft, highest original fl in trendy River North w/16ft ceilings, lrg balcony in serene courtyard. S/S appliances, granite w/island. In unit W/D. Real H/W floors. Storage cube and private exterior storage closet. marble bath. 24 hr doorman, healthclub, dry cleaners, bike rm, party rm, roof deck w/rare running track. Ultra prime heated parking location (+35k) Assess incl: heat/AC/gas/internet/cable. 900 N Kingsbury Street #909 Chicago, Illinois 60610 is a loft property, which sold for $260,000. 900 N Kingsbury Street #909 has 1 bedroom(s) and 1 bath(s). 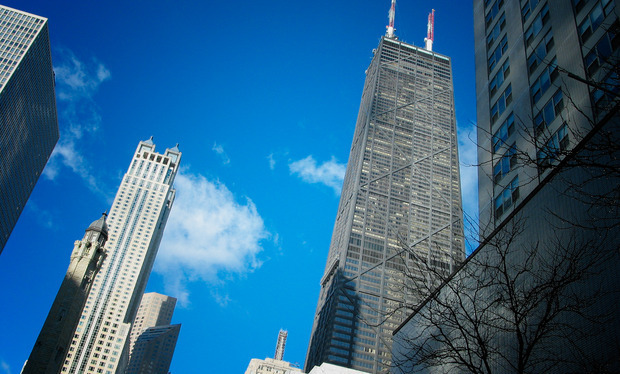 Want to learn more about 900 N Kingsbury Street #909 Chicago, Illinois 60610? Contact an @properties agent to request more info.